I have a 2011 artic cat m8 motor with 2900 miles on the block and 1000 miles on a complete top and bottom rebuild all break in was done correctly. 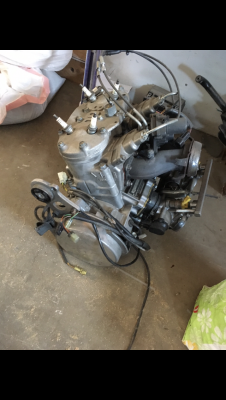 Broke my bulk head so parted out the motor ran supper strong and comes with injectors fuel rail and intake manifold also has reverse actuater. The motor runs hard and strong no problems also has the pull start that was recently replaced. WILL SHIP FOR $60 dollars.